What happens to students’ learning when the school year ends and the summer months roll around? This episode of WQED’s program about parenting in the digital age will showcase the innovations, techniques and activities that viewers can use to cultivate continued learning and growth throughout the summer. Host Darieth Chisolm welcomes Christine Cray, Annisha Jeffries, Emily Kirkpatrick, and Larry Smith as guests on “Summer Slide,” premiering Thursday, July 30, 2015 at 8:00 p.m. on WQED-TV to kick off the third season ofiQ: smartparent. iQ Smartparent: Summer Slide aired on Jul 30, 2015. This panel discussion is focused on End of Life planning and the myriad of issues families, patients and healthcare providers face when confronted with the end of life. 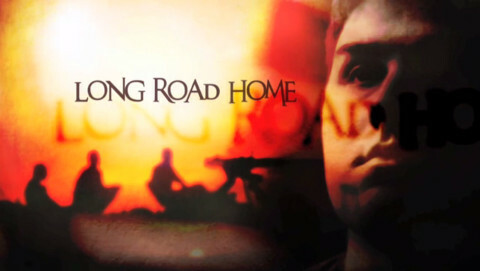 Long Road Home focuses on the compelling stories of Pittsburgh area veterans coping and healing with the emotional wounds of war, after combat in Iraq, Vietnam, Korea, and World War II. The documentary also explores current treatments and research into Post Traumatic Stress Disorder (PTSD) among returning veterans. This one-hour special explores the controversial issue of Marcellus Shale drilling in the Pittsburgh region. Hosted by Chris Moore, the program features guest panelists who are experts on various issues related to Marcellus Shale drilling. Tonia Caruso will field questions submitted through WQED's web site and Facebook page and present them to the panel. We'll hear from survivors, law enforcement, local women's shelters and mental health professionals working to help survivors and families put their lives back together. We will also air a special report on domestic violence along with clips from the documentary Telling Amy's Story. Western Pennsylvania is sitting on what seems like an endless source of natural gas. The drilling promises jobs to a struggling economy, but at what cost? Environmental groups fear the drilling is a disaster waiting to happen and some homeowners say the process has already contaminated their drinking water.